Cable bills are a growing concern for businesses. If you’re like many of the other business owners in the country, you’re tired of it. How often do we hear about a new “promotional offer” for a “triple play” that gives us TV, internet, and phone with a great rate? And the rate is great – until the initial period ends and the bills go up. At that point it’s nearly impossible to get them back down. In fact, over time they triple for many. You thought you had a triple play when in reality it just became a triple PAY. 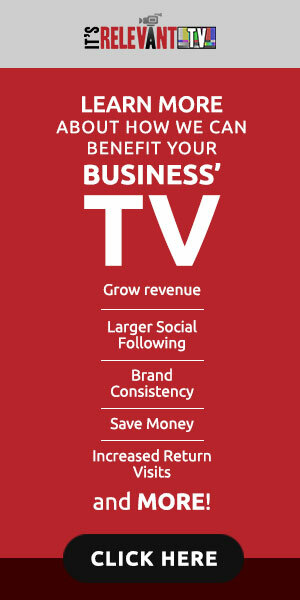 Whether you are looking for discounted rates with Optimum, Comcast, Time Warner, Xfinity, Charter, Cox Communications, Bright House, Cable One, RCN or Mediacom, it’s the value that’s missing from all of the business TV offerings. Cable’s problem isn’t just the cost, it’s the lack of VALUE. We compared the rates among many of the top cable companies offering service to businesses. The average customer we work with pays between $300 to $700 a month on their cable subscription services. Cable won’t compete with itself, which has left us with cable monopolies across the country forcing these high rates. In the end, that’s not just unaffordable for many, it’s unpredictable and gives nothing back to your business. Regardless of how much your business’ cable bill is costing you – in all likelihood you’re missing a real return. TV has always been seen as a utility. At It’s Relevant, we see it as an investment. Instead of just paying for programming to distract your customers, we would encourage you to draw their attention to content that will grow your business. It’s Relevant TV has developed a service that draws the attention of your customers and directs their focus to the things that make you more money. Services that they might not have been aware of, special deals or offers, and even local events. All of these things can be promoted on your TV with It’s Relevant, allowing you to get closer to visitors.